What is really hidden in a terrible number eight? We would like to begin with the word "marketing”. As we understand that means "Building a definite opinion of the public in respect of any given object of marketing", but definitely this does not mean “foisting off a useless product". As an example of good marketing is BMW brand. The same thing happened with Windows XP, which is one of the most lasting products of this world. Take notice that Microsoft is actively pursuing many marketing campaigns and promoting its products in the United States. There is nothing wrong with that. There is a lot of good, because the users who read these newsletters and blogs know what features they will get and how to use them. For example: "Pinning" of applications and websites on the Windows taskbar. Marketing can do other wonders. For example, good marketing can quell the "Black propaganda" and help aggressively to start selling your product, as a good example of this is McDonald's. It is the most common and profitable fast food restaurant in the world. Another example of good marketing is Windows 8 in the United States. After this marketing campaign users got some necessary information about that product. In our article we want to explain in details using screenshots what actually is Windows 8 and how it should be used. So, what great and mysterious is hidden in this operating system? Let us start this interesting around-the-Windows 8 journey! In order to understand one of the greatest achievements of Windows 8 we have to plunge into the wonderful world of programming. What really does the operating system? It provides an access to a computer for the programmer API (not for the user). In particular, Win RT is a new set of APIs that make the programmer's life easier. The company's basic approach is clearness and simplicity. The interface must be simple and fast. If the user clicks the mouse on the button - the button should respond immediately (no delays). Naturally, the new APIs were built considering this approach. No matter how good .NET is praised, but its speed is not enough to ensure a normal access to operating system features. No matter what you do, but only in real-time system it is possible to get a response within a certain time. You cannot predict how long it will take a reading of five bytes from the file in Windows (this file may be at 20 000 miles away from your PC). In general, any advanced programmer understands the basic idea. In order to parallelize your process you should not make additional threads, just use a couple of new keywords. By the way, you may pay attention to StorageFile sfro and where it comes from. The Win RT main trick is that you cannot do synchronous operation at all. They are no longer available. Moreover, the funniest thing is that you can get the same result using JS + HTML 5. Microsoft guys decided that C + + deserves to live a few more generations longer. The normal bundle of HTML + JS equals to the speed of the program on NET. This gives the opportunity to use all the tools that are available in Win RT. 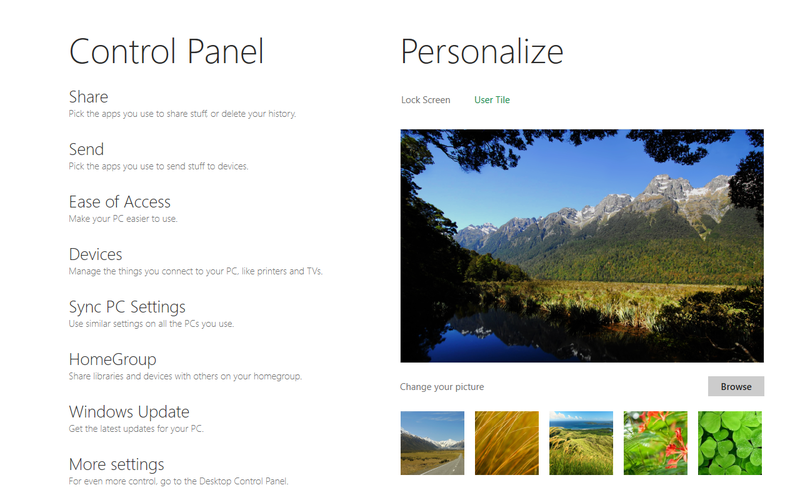 In addition, Windows 8 allows using Direct X 11 filter to image on website. What is more, the sets of all the new controls are written in .NET languages and JS, as well as in a native code, so that all your applications will look the same. That was only a programming part, but we still have a lot of different features ahead. This is the same tab in the Control Panel. On the first picture you can see the previous approach, while the second picture shows an approach of interface design in the Metro style. Here can be seen with the naked eye lack of chrome. Chrome means visual outlining of the elements. The Windows 8 developers solved this problem by eliminating that chrome completely. There is not any visual outlining of the control elements. It only has on-screen data and nothing else. The idea is that the user sees data and handles that. The user should not be distracted by all the shiny buttons at all. This is a brilliant idea. There are no more questions how many useful pixels a browser takes on the screen. Generally, it takes all the pixels on the screen. Here IE10 may come on the scene, but we will discuss it in another paragraph. So, any application occupies the entire screen, it works only on presentation of data and does not bother any visual outlining of the elements. This is the basis of the Metro UI approach. If you have weather forecast then who cares about the "Update" button, because you need to get the weather report. This approach gives various possibilities for application design. You do not have to worry about class function forms and so on. 1) Metro working style requires a certain method of approaching. Drawn rainbow will not make your application as super Metro one. 2) Moreover, it requires some temperance when choosing fonts. As you can see all screenshots have so far only one font. It is not forbidden to use your font, but any Metro could be spoiled by a fact of using 15 different fonts on a page, and five of them will be a kind of Comic Sans MS.
3) It is necessary to break patterns. 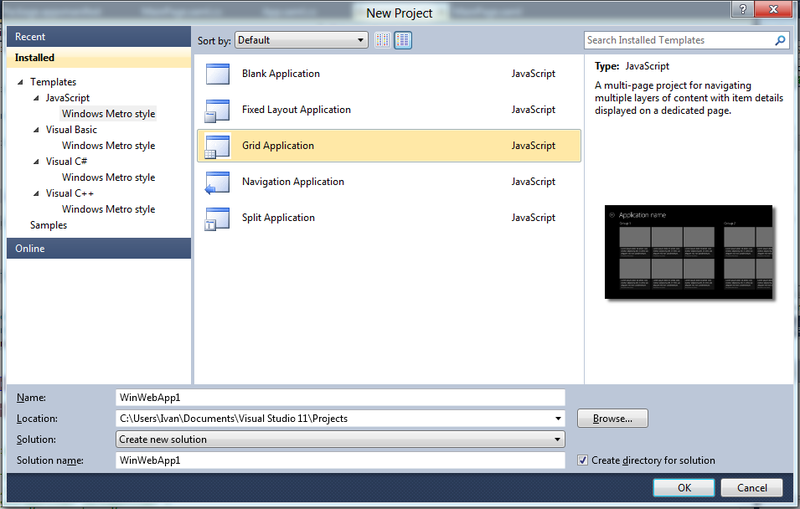 This is a regular new 11th version of MS Visual Studio. It was not made just for Metro. Why is that? Because Microsoft guys said that Metro interface cannot be stuck in each application. 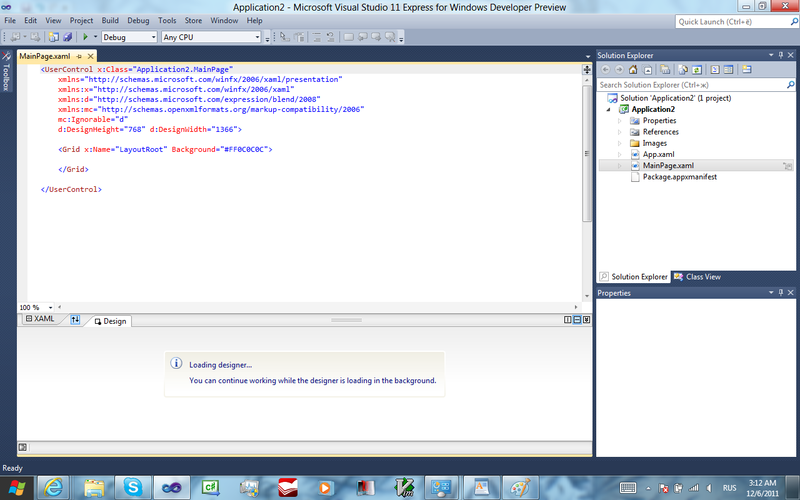 Photoshop and Visual Studio will work without the Metro. On the other hand, the important advantage of Metro applications is a nice appearance that is very useful while doing different operations. Microsoft developers are well aware that they do not have alternative of the iPad. So they decided to kill two birds with one stone at once. On the one hand, they support the most common window manager in the world; on the other hand, they create a new and innovative manager, which will be nice and comfortable to use on portable computers. So, you have to make your choice to keep the old desktop or switch to a new Metro UI. The independent studies show that the market will soon be full of tablet PCs of different types and colors. Even now the market offers variety of them. There are already affordable tablets such as HP Slate ($ 500 - $ 900), as well there are slight expensive PCs as Asus Slate ($ 1100 - $ 1500) and even very expensive as Acer Iconica with two displays ($ 1400 - $ 1800). 1) All of the above PCs are powered by batteries. 2) The screen is small. 3) Their size should be smaller. 4) Ease of use should be on top. 5) Good bye IBM PCs’ design. Windows 8 developers considered all of the above. 1) Asus Slate with Win 7 lasted for 3.5 hours. It is just a shame. Windows 8 is added an extra hour to this one. Now it lasts for 4.5 hours. Of course, it would be nice to have a 9-hour battery. 2) Display: How to make applications work fine at 1280x800 and 1920x1080 resolutions? With the old Windows.Forms a program would occupy the entire screen or just automatically change the window size. It is also an option. However, there is a trick. Recently dpi of monitors and screens has jumped from 90 to 200 and more. It happened due to the market of mobile phones that are competed in the race for the number of dots per inch. Now the competition is over. Nobody would go above 400, but the trick is that at different dpi various programs will show different images. If Windows XP is changed to 150 dpi, there will appear bloody mess of pixels in the icons, fonts, and so on. There is a similar situation with Windows 7. Fortunately, Vista was not too long on the market. Unlike others Win 8 Metro part offers a slightly different approach towards application scaling and allows active playing with the dpi of screen. If you want to check how your application will look at non-standard screen, just click Deploy to “Emulator” in the configuration of Visual Studio, and set the desired screen resolution, enjoy Full HD. 3) Well, here it explains itself. 4) Here Windows 8, even in its unfinished super-alpha version can brag about a set of features that have not sees at any touch device. Moreover, there is a special mode that allows typing by two thumbs on the run. In addition, we want to mention one more thing. The algorithm to track your fingers was rewritten in Windows 8 very much. Before in order to get to the checkbox you had to be a “sniper”, but now you can easily resize the window in a wink. Finally, the location of the new Start menu and switch between applications are awesome. Simply run your finger from the right or left of the screen toward the center, and you see what you need. This is really fantastic! 5) As for x32 and x64 architectures - well, on Windows was introduced device from BUILD, which gladly ran Win 8 on nVidia Tegra 3. Windows 8 cold-boots much faster than Windows 7, thanks to a new technique of hibernating its system kernel. It performs a solid state disk-equipped laptop booting in just 7 seconds. You can see much more impressive results on the video from a conference. Now you add to that the availability of the Start menu, which is written on the same praised Win RT that does its job smoothly and quickly. Namely, the system is very responsive. Even a frozen program does not block the ability to open the Start menu. Moreover, you still can get to the Task Manager and close that program. 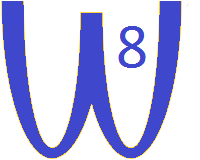 Win 8 is compatible with a variety of programs as Windows 7. IE10 became a browser and platform. First, there is an auto-refresh of browser. Second, the system IE is presented in two forms - one of them supports Metro UI, and the second is more like IE9. The difference among them is very large. First one ignores the flash and does not allow running it and any other plug-ins. The second one is more conservative and allows all that. IE10 browser works perfectly with Windows 8. 1) It is the only browser that is "Out of the box" and supports multi-touch. 2) It is faster than Google Chrome. Moreover, Metro app IE10 allows looking at the site only. Memory consumption is acceptable 227 MB with 10 open tabs. By the way, just like any other Metro application IE10 moves to the "freezing" after 5 seconds of finding in the background. This means that it will not consume CPU time while it is in the background. Win RT and Metro UI has another feature, such as the ability to store program settings in the cloud. Now you can link your login and password with Live ID in Windows and get full transfer of settings and saved games to other computers. By the way, there is no need to enter the password from the keyboard. Also, it is added a new super feature that is password-picture. Namely, you make three gestures over any picture and it is your password. Antivirus comes with that system. Updates come automatically, which is a very useful thing. In spite of all this the memory consumption of the system has dropped from 400 megabytes (Windiows 7) to 200. Now the process of copying files is gathered in a single window. You have the option to stop and start different copying. Also, you can look at the speed traffic and hide it for all loops of copying. 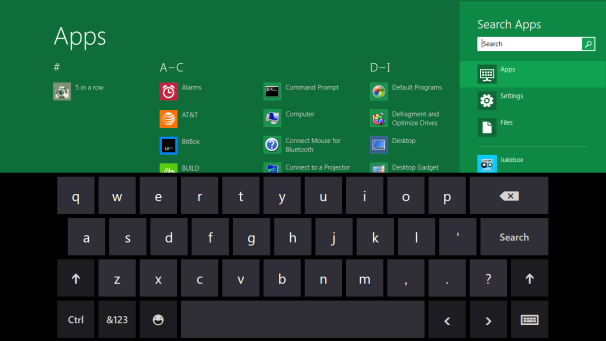 If you use a Metro application (for tablets) in Windows 8, multitasking means the screen will display two applications in a row. That's it. For beginners it would not be a big problem. However for the advanced user, multitasking capabilities with Metro for only two applications is a fatal weakness. It has the constant turnover that occurs between the tile-based Metro glassy Aero UI and UI. It is considered unreasonable and very confusing. Switching from Metro applications and desktop applications is very difficult. 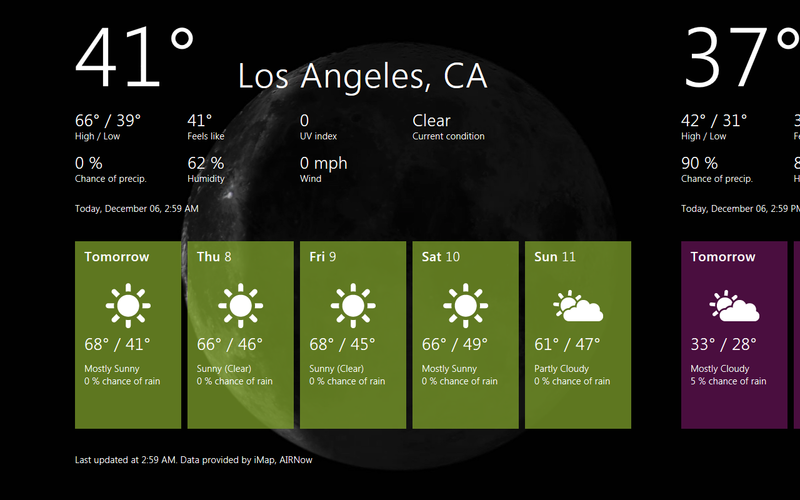 Metro was able to work well on the tablet but the UI is not very compatible when used on the desktop. And if you want to try it in a notebook, it will be difficult. So that by default is impossible to boot into Windows 8 Metro UI. In other words, Microsoft needs to deliver kill-switches to turn off the Metro UI. Metro Switching between applications is a very difficult thing to do. You are not given functions such as Alt-Tab while working with the desktop and the keyboard to switch from one app to another app. Instead, in Windows 8 Metro NDA UI could use a pointer or finder. Put on the left side of the screen and drag. Or click on the icon that appears. It sounds very easy but problems arise when you work with many applications. There is no quick and easy way to switch between applications. If you move the mouse to the left then an icon will pops up. And if not right then you have to click and try again. 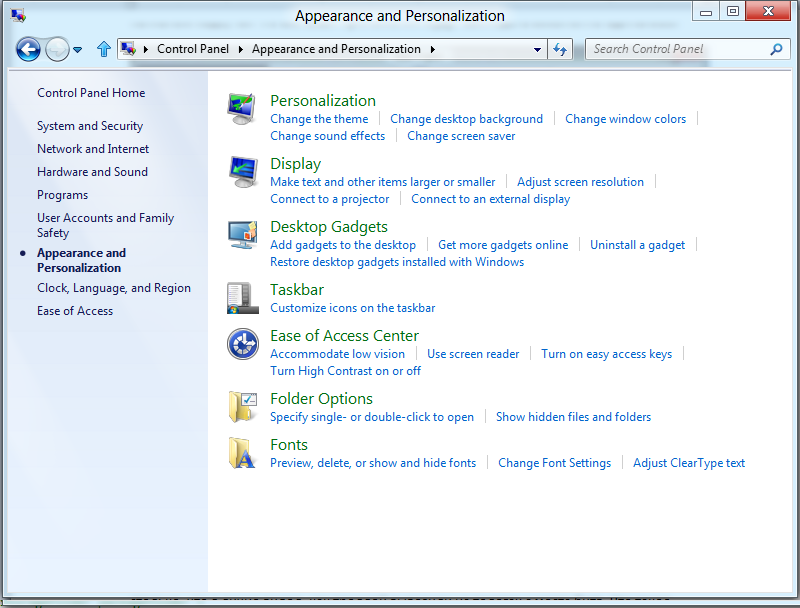 Metro desktop UI even becomes the latest System Tray in Windows 8. 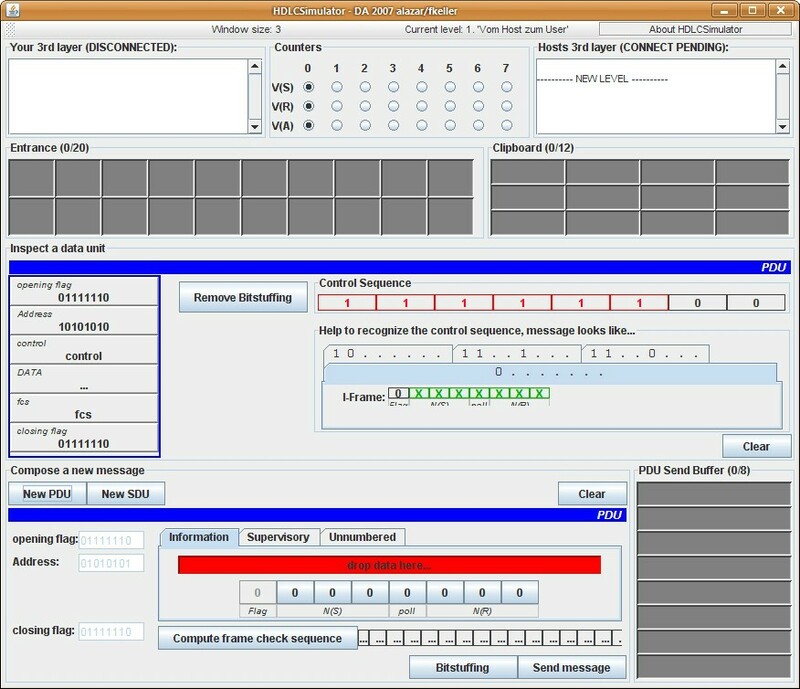 Each application requires the system tray. And the more applications that run the system tray will bubble. Although Microsoft promised to deliver applications that are lightweight and easy to administer, but if you use iTunes to stream and there are many other applications that run so many ads and information that emerge can you imagine what will happen on your tablet. Crashed! The smallest size is still too large tiles appearance. When you have to install many applications will then screen Metro chaotic. What to do and where to start? In order to learn more about the subject go to dev.windows.com. It would be a good start! 1) Get the Windows 8 Developer Preview and free developer tools. 2) Read more about the new APIs. 3) Learn how to run the system with VHD on Google.com. As a matter of fact, the system is very interesting. Basically, despite of the same window kernel, the developers have managed completely to upgrade firmware and add various new features. All the technologies and approaches implemented in Win RT and Metro UI allow viewing of software development cycles in a new way. In particular, you can refresh the design of your sites. By the way, if you do 3D designing, you may create a DirectX application in the Studio Version 11. You will have a possibility to follow the fate of each pixel on the screen. Besides, you will find 6-hour video of the presentations at channel9, which include interesting stories about 8 servers, live examples of programming and laptop rebooting. Therefore, before you start talking about what is in this system and what is not, we beg you, please read at least the information about its features.